The Copyright Agency’s members are at the core of everything we do. We take pride in delivering great service and constantly strive to improve it. Whenever you have a query or need to talk to one of our staff, our dedicated Member Services team members are ready to respond. They are Rosie Daniele (Manager, Member Services), Charli Hutchison (Member Services Officer) and Johanna Roberts (Member Services Coordinator). The team manages the day-to-day relationship between members and the organisation, answering your calls, responding to your emails and live-chatting with you whenever you need assistance. L–R: Charli Hutchison, Rosie Daniele and Johanna Roberts, Copyright Agency Member Services team. Member Services is also here to help with your payments. This month’s distribution will come from the sale of survey plans, as well as those collected by the Authors Licensing and Collecting Society (UK). You can view the distribution schedule to June 2019 here. If you are owed royalties this month, Member Services will notify you by email prior to payment. Are your details up to date? Log into your member account now to make sure we have your current bank, ABN and contact details. If you’d like to know more about payments or distributions, check the Frequently Asked Questions in our Help Centre. 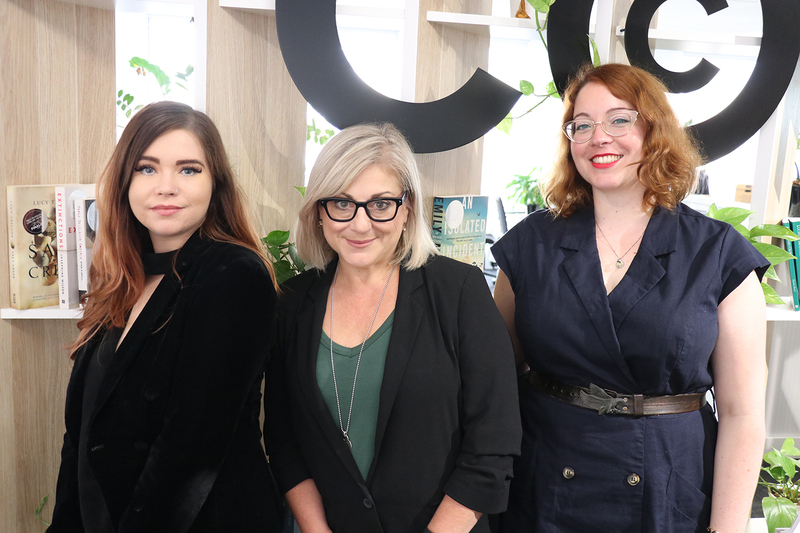 For any other questions, feel free to get in touch with Rosie, Johanna and Charli using the Help Centre’s live chat function, or by emailing memberservices@copyright.com.au.